The last few months have been a struggle with my tween son. He says I don’t understand things, thinks I don’t love him based on the shoes I buy for him, and gives me attitude over the simplest chores. I know part of that is the teen years and little bit spoiled brat, but some of it is that he is growing into a man and dad is the go-to now. My baby boy isn’t my baby anymore but I still want him to know that I’m here when he’s ready. To remind him, we had some quality time this weekend with Galactic Breakfast Stacks and chats about life. Okay, he mainly talked about his Christmas wish list but I’ll take it! With four kids and him being the middle child, he often gets less time with mom and dad. The twins still need us more for day to day things and his older sister is busy so she gets a bit of time in the car with me while running around. I’m making a point to set aside time each week for my middle son, even if it’s just a star-sprinkled breakfast for two. Three Eggo Star Wars Galaxy Adventure Buttermilk Pancakes, raspberries, blackberries, edible star sprinkles, whipped topping, and syrup. That’s all you need for Galactic Breakfast Stacks the kids will be over the moon for! 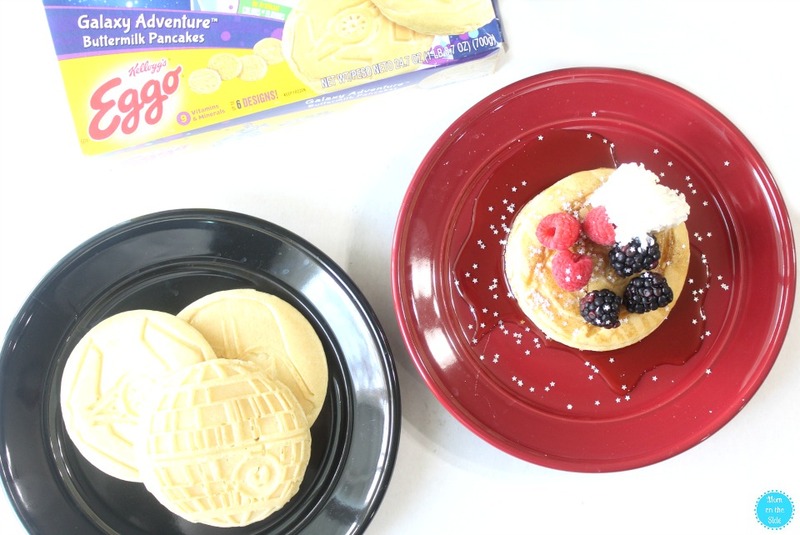 That’s right, a galaxy far, far away is now at your breakfast table with Kellogg’s Eggo Star Wars Galaxy Adventure Buttermilk Pancakes, featuring six different Star Wars designs! 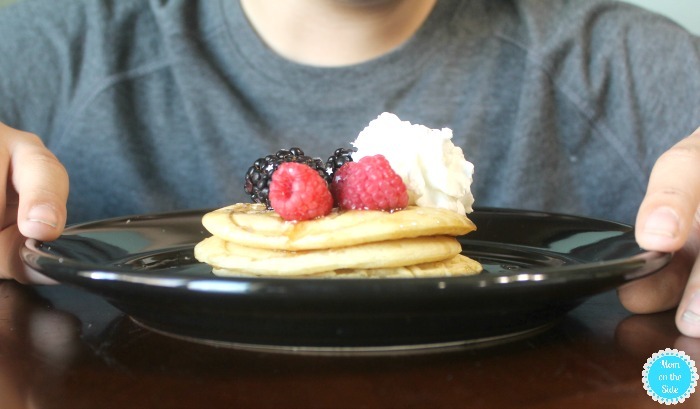 Making these Galactic Pancake Stacks is super simple. I heated three pancakes in the microwave and stacked them one on top of the other on a plate. First I drizzled with syrup and then I placed three each of raspberries and blackberries on top. A dollop of whipped topping and a small handful of silver star sprinkles finished things off. 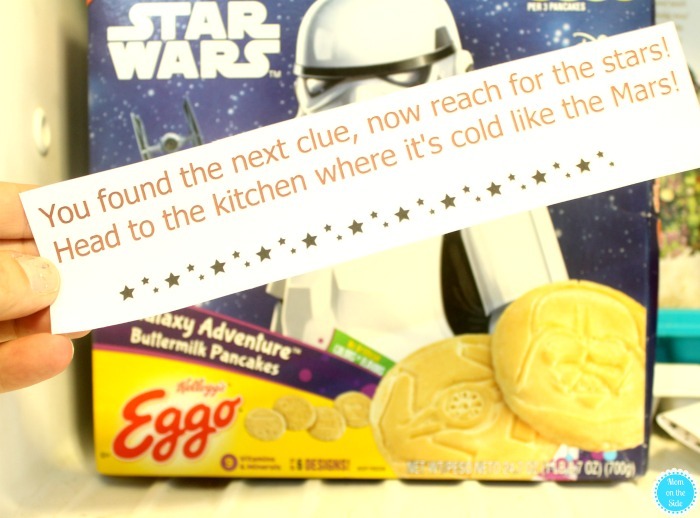 Heat Eggo Star Wars Galaxy Adventure Buttermilk Pancakes in the microwave according to directions on the box. Stack three pancakes one on top of the other. Delicious News! 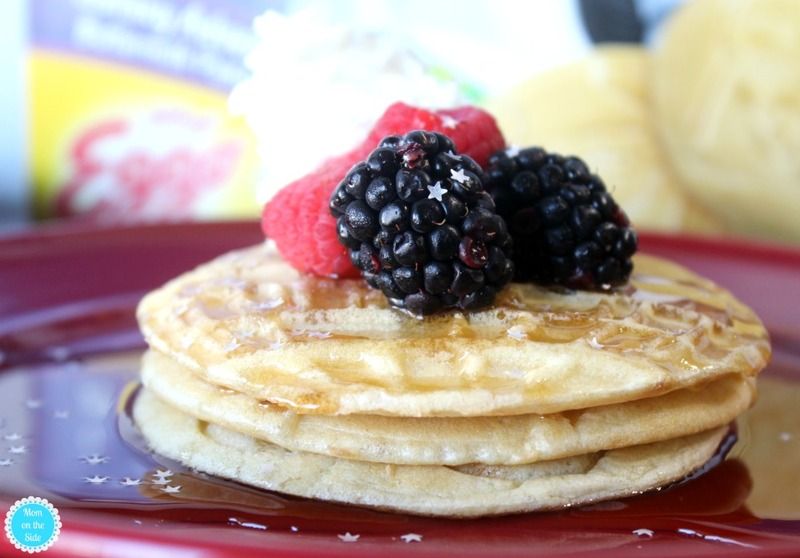 Eggo waffles and pancakes now have no artificial flavors and colors from natural sources. Not just these, but the full line of Eggo Products are made with clean ingredients like water, buttermilk, and eggs. 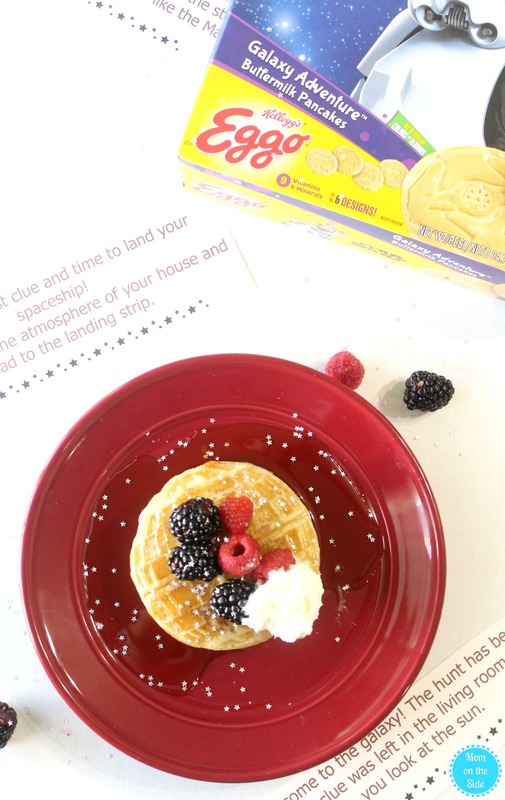 If you’re going to plan a space-tacular breakfast like this, a Galactic Scavenger Hunt is the way to kick things off. My son loved it so much that I turned it into a printable for you! Four simple clues that lead to the living room, bathroom, freezer, and where you park your car. You can see the space theme in the clues, like looking in the freezer which is cold like the planet Mars. 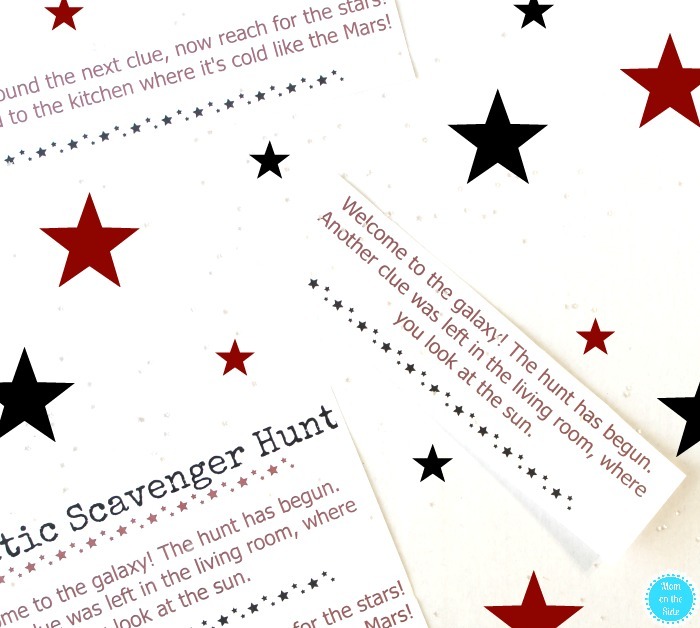 Print the scavenger hunt clues below for a fun morning or afternoon activity with your kiddos. 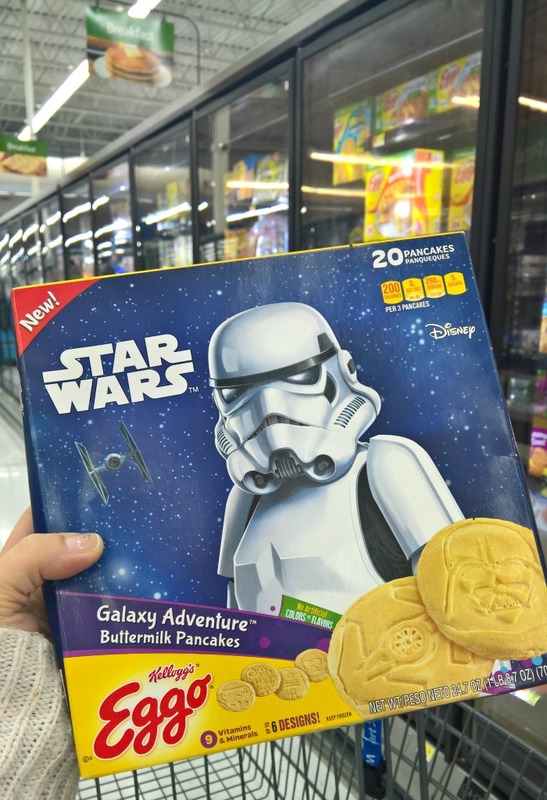 Plan ahead of time and swing by the freezer aisle at Walmart to pick up Eggo Star Wars Galaxy Adventure Buttermilk Pancakes. At the end of the Galactic Scavenger Hunt, you can gather around the table for Galactic Breakfast Stacks. 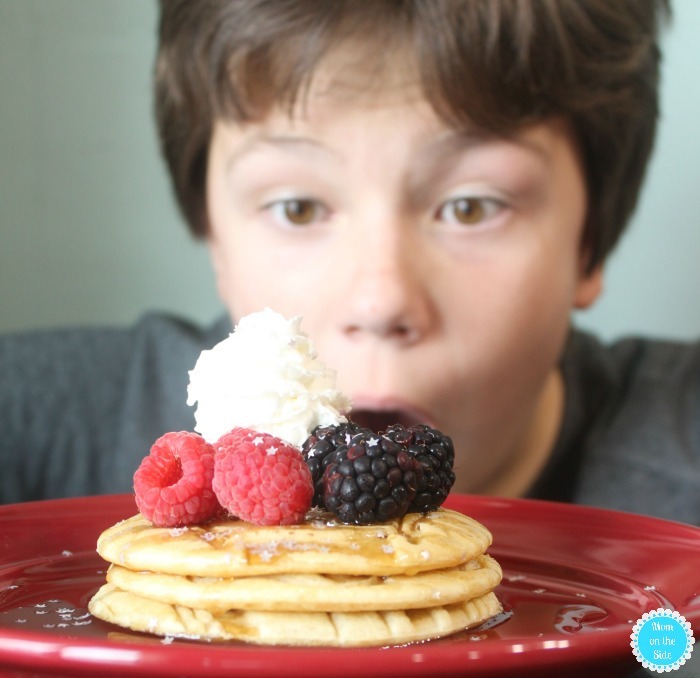 Pin this for later and bond over Galactic Breakfast Stacks with your kiddo!